Are you learning by yourself or as a couple? 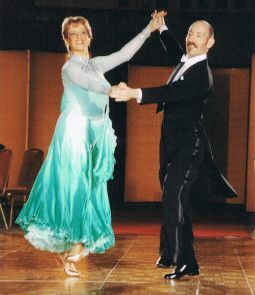 Either way, these lessons provide the optimum learning situation where you can concentrate on the dances or techniques which suit you. If you are a total non-dancer these lessons will equip you with the knowledge that will help build your confidence to attend classes etc with other dancers. As a fun way of getting exercise tailored to your requirements one-to-one lessons allow you to build stamina progressively in an enjoyable way. Experienced dancers and those preparing for examinations and competitions will already be used to learning in this way. Not having to commit to a course of lessons means you can come along to sort out specific problems or to work towards a particular goal. Lessons are easily booked, in advance by appointment, and last for 50 minutes. Bookings may be made for daytime or evenings by calling 0786 605 0993 or email infoballroom@aol.com. Please note all dance studio space in Central London can become busy at times and therefore individual lessons cannot be guaranteed sole use of the dance floor – this is common to most successful schools. Teaching can also take place at a venue to suit yourself, maybe your gym, office or even your home if you have the space. Fees in these circumstances would reflect travelling time in addition to teaching.